Can we name one high-profile player available in free agency or the trade market that has not been linked to the New York Yankees? Having already acquired ace pitcher James Paxton from the Seattle Mariners, New York apparently has a few different fires burning around the hot stove. We can now add Miami Marlins All-Star catcher J.T. Realmuto to the mix of players the team has been linked to. According to Jon Heyman of Fancred Sports, New York has indeed shown interest in Realmuto. This pretty much tells us what we need to know about New York’s stance regarding Gary Sanchez’ defense behind home plate. Any move to acquire Realmuto would either include Sanchez transitioning to first place or being traded. 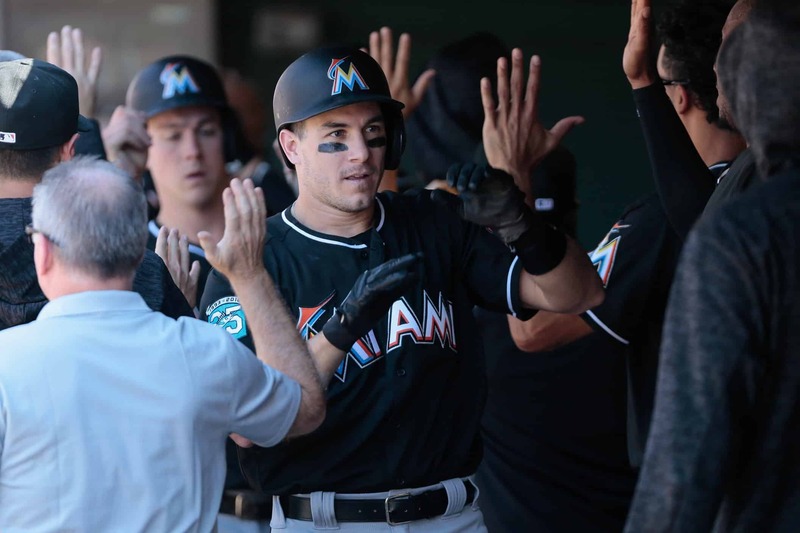 Realmuto, 27, has been among the hottest names on the trade market over the past calendar year. And it now looks like the Marlins are looking to move the disgruntled backstop. The veteran hit .277 with 21 homers, 74 RBI and an .827 OPS last season. He’d be a major upgrade over Sanchez from a defensive standpoint. Though, interest in a player of Realmuto’s ilk and age is going to continue being strong. This means New York would have to offer a whole heck of a lot in return to add one of the game’s best catchers.